Earlier this month I was invited on air by Cathy Biase, the host of The Heath Hub, an interactive, forward thinking talk show on Radio Maria Canada. Cathy is a Holistic Nutritionist and Cancer Coach. 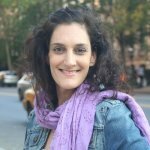 She is passionate, insightful and a pleasure to connect with. Our conversation went straight to the heart of the emotional journey that is decluttering. How do you get started? What do you do if there are multiple people in a household? Is is OK to cry? 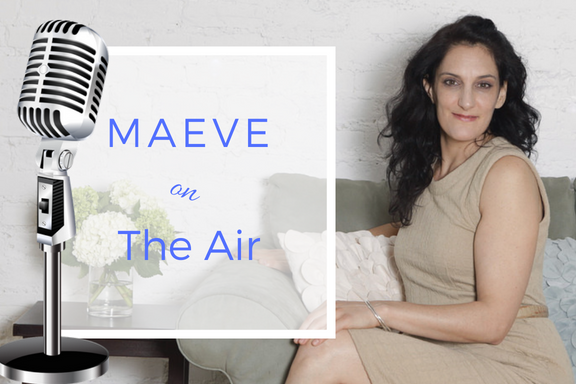 Listen to our conversation The Art Of Decluttering With Maeve Richmond on iTunes or SoundCloud. And enjoy Part II of the below Q&A featuring excerpts from our conversation. Click here for Part One. I hope you enjoy! 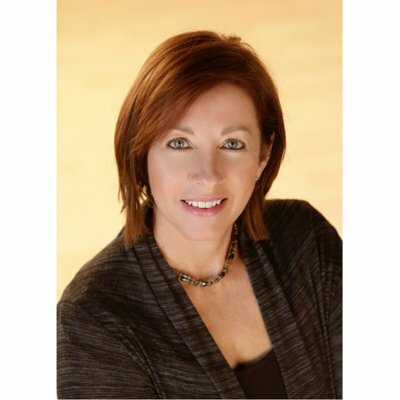 Cathy: Our guest is Maeve Richmond, and she is the founder of Maeve’s Method, a do-it-yourself home organization method. She is a graduate of Brown University and spent a decade dabbling with careers until she landed into her lifetime passion, ‘creating happy people inside happy homes’. Maeve credits family, friends and New York City for helping her to see all the beauty in objects, both saved and let go. So you can see where this is going. This isn’t just about cleaning up the house. This is about the energy you get from cleaning up the house. Why do we clutter, and why should we declutter, and how to begin this whole process. Cathy: Welcome back everybody. We are with Maeve Richmond today. So Maeve, let’s continue. I want to talk about the health benefits of decluttering. Maybe your can talk about the health risks and health perils that we are put into when we have too much clutter. Maeve: You started off talking today about seasonal allergies. So, one benefit of decluttering is to remove layers of dust and all of the other goodies that end up in the home during the winter months. 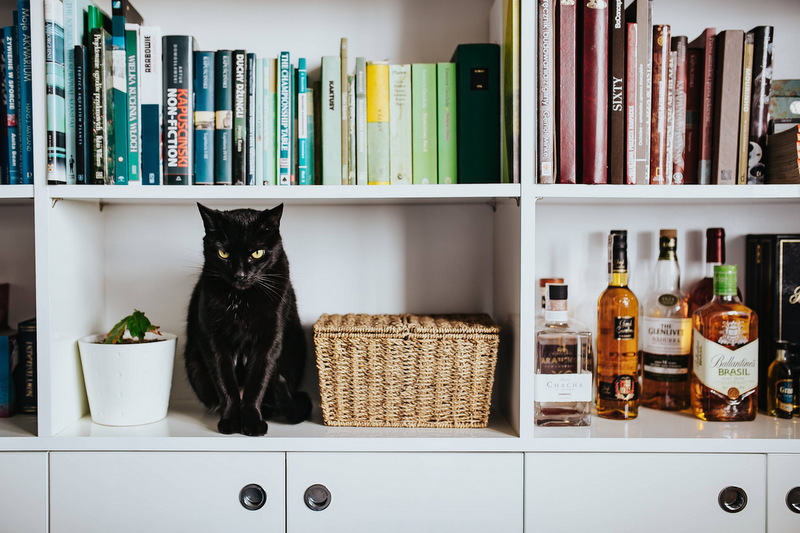 Care-taking the home during spring cleaning season is a perfect time to rid of some of the allergens that cause us to feel unwell in our homes. Cathy: What about the mental aspect. Sometimes I can walk into the house and I see, maybe I’ve gone out and I haven’t cleaned the kitchen. This isn’t really clutter. But when you are relating to clutter. You walk into a room that you’ve let go. An overwhelming sense of many things pop into my mind. The work that I’m going to have to do to get this. I don’t feel like doing it. I feel less than I should of myself, letting things get this far. There is a lot of mental anguish and fatigue that comes along with clutter. Maeve: Absolutely. The biggest thing affecting our health is the mental part of clutter. As I said before, our stuff tells our story. And what’s underlying that anguish is anxiety. So you walk into a room that appears messy, but what’s happening is you are seeing mentally unfinished projects. You are seeing things you couldn’t complete. Sometimes these things are as simple as, you took a family vacation and there wasn’t enough time when you came back to get things away. Over time we start to see the build up of not just one unfinished project, but multiple unfinished projects, sometimes over years and years. It starts to weigh on us. It’s a lot like having extra weight on our bodies. It can be subtle at times, and it does start to create conflict. Not just inner turmoil, but conflicts within families as well, without a doubt. Cathy: And you walk into a room that is cluttered and full of stuff, and there is no peaceful place to rest the eyes. You are looking all over the place. And that in and of itself can be tiring. Maeve: I love that you said that. One of the things I work towards with my clients is allowing them to walk into a space and breathe a sigh of relief. As you said, find a place where they can rest their eyes. We have to start there. As I’ve been saying, the art of decluttering is not an overnight process. It’s not a matter of OK, we are going to take this weekend and get it done. But what you can do is to take it in little baby bites. You first hone in on a space or room or project–some part of your home that has been feeling overwhelming–and you start to transform that. During this process you will gain skills and confidence. Then, like magic, you want transform the rest of your home because you’ve accomplished one small goal. It really does start with taking one small area and allowing that to be the thing that makes you smile. Cathy: Do we actually need to take account of what we have and get rid of it? Where do we start? When you are coming into somebody’s home. Do you go item by item and say what does this mean to you? Maeve: Yes, whether it’s me working with a client on site, or you have learned my method and are doing this on your own, it is a piece by piece, item by item process. What Does It Mean To You is actually one of my five Maeve’s Method concepts. But before you even get to that, the question that I start with–which is a bit easier when you are being coached, but you can ask a friend to do it, or just do it internally in your mind–the first thing you want to do is tell the story of the item. When I am working with someone, I simply say, so tell me about this. So Cathy tell me about this. What that does it is starts to illicit a story from you, as the person that owns that piece. And we start to tell the background or the story of that piece, understanding why it came into the home. Cathy: Ok, but when is the story not good enough to hold onto the item? Cathy: We have been doing some renovations and my sole intent is to minimize. I had a bunch of little swarovski crystals, a bunch, my husband got them for me every year, so I had about 30 of them. I’m thinking that I was in the wrong mind-frame because I put them in a bag and I got rid of them. I thought my daughter would drop dead when she heard that I had done that. I was like, you know what, they are just sitting here. After I had removed them and donated them, I thought, maybe I am not in the right frame of mind to be doing this. Maeve: What happened to you is what happens to a lot of people. It’s the pressure of keep or let go–I don’t find it helpful. If we recreate that moment, if you were holding those crystals now I might say to you, “Cathy, tell me about these crystals”. And you might tell me the story. And I would mirror back, “So these are crystals your husband gave to you every year for Christmas until you had a collection of them. Is that right?” Before deciding whether they are going to stay or go, the first thing we do is create a category for those crystals. The category might become, things my husband has given to me every year for Christmas. Or, items that people have given to me. Does that make sense? Maeve: Rather than make a decision in that moment whether that stays or goes, you simply create a category. What’s happening is that we are identifying a theme of things that happen in your life. There may be other things in your home–say that your child has given to you–or other objects that your husband has given to you. And that theme of people giving things to you over time is what’s important. Does that make sense? Maeve: Ok, because that theme is what we need to address in your life. This idea that things come into your life because people give them to you. Once we go around that room–or other rooms of the home–we find other items that fit that theme. Are there other objects that fall into that theme of things that people have given to you every year on Christmas? Cathy: Oh, there, are a lot. I’ve kept everything. I’m really divulging a lot of my secrets! I’ve kept everything that four kids have given me basically. Maeve: This work gets very personal. So do not be shy with your secrets! When it comes to getting organized, I try to help people understand that there is no quick fix for any of this. One thing I think has not been helpful in my industry is this idea of putting rules on things. So, if you haven’t worn it in a year let it go, and so on and so forth. There is a different way to look at this. And it really comes from internal work. When we start to identify the themes of our life–so for you we identified gifts that people have given to me over time that I’ve saved because I have an emotional attachment but I’m not sure I want to keep anymore–that long sentence is a theme. As we work we reduce that theme down to what I call a category according to you. From that point someone is able to make a decision about whether to keep something, or let it go. Cathy: You are an energy worker and I am going to pull from that and the way you attack homes which is so much different than I have been doing. You really have to tackle this with a positive mindset. And pick a good time when you are positive about cleaning up, as opposed to what I have been doing and saying, ‘I just want to get rid of everything’, and not thinking too much about it. Maeve: I like the idea of starting positive. But there doesn’t need to be the pressure to do that either. You don’t need be in a positive mindset or be prepared to make positive decisions in order to do this work. What you need to do is be honest with yourself about the questions that you are asking. And more importantly, the expectations. If one were to go into a decluttering weekend with the expectation of ‘transform a closet and be done with it’–and what you don’t want is tossed or donated–that’s a lot of pressure. It’s akin to saying I need to lose ten pounds in the next ten days. Instead, it’s about slowing down the process and–back to energy–accepting and honoring that there are emotions caught up in everything we own. Whether it’s an heirloom, or a trinket we bought at the 99 cent store, there’s a reason why we bring items into our homes. Slowing down and connecting to the energy, the intention–and as I’ve been saying–the story of an item helps us to get to the root of why we brought it into our home in the first place, and that is our emotional self. 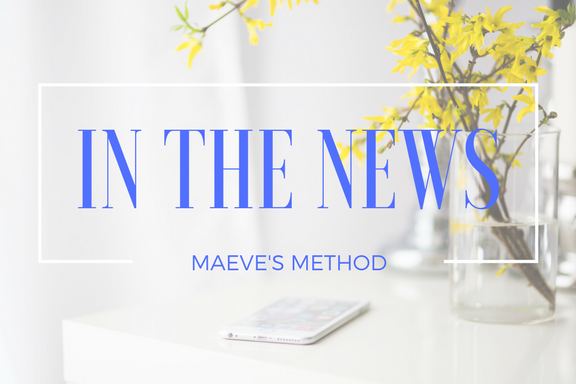 Maeve: Yes, it’s really training yourself to know how to approach the process. I’ll reframe it a different way. Getting back to these categories according to you. My model is about taking a small project, then we deconstruct and reconstruct the space. As we work we touch every object once. Let’s say we are in your closet. You hand me a shirt that happens to be something you wore before you had children. Do you have any items like that in your life? Maeve: OK. Very simply in that moment, we are not making a life-or-death decision about whether this stays or goes. Or whether you are going to get back to your pre-baby weight. We aren’t doing any of that. That’s too much pressure. All we are doing is creating a category that says clothes I used to wear before I had kids. Cathy: You can call that the hopeful category. Maeve: OK. Hopeful. Aspirational. A lot of my clients use the term aspirational. I do these it a lot with moms. At that moment what we do is we just take that item, we create a pile, we fold the shirt and we put it in, and we keep moving. The first part of how I work is to just keep moving. It’s like moving a pile of stones from one place to another. But when you move them to the next pile they’ve been re-ordered. And that order is going to be categories like aspirational clothes, things I want to gift to my friends, oh, those are torn and ripped those can be donated. Rather than have the standard keep and let go, which is only two categories–it’s not even barely enough categories to describe what most people have going on in their lives–we break it down into distinct themes that represent what’s actually going on in your life. Does that make sense? Cathy: It does. I actually have this mental picture of myself sitting down in a whole pile of clothes in tears. Maeve: And the tears are OK. There are many misnomers that I have been working diligently as a professional to break down. And when I do interviews, I get real about this process. It’s not realistic to expect that we are going to have a spring cleaning weekend with a smile on our face and just have it all done. As I’ve been saying, our stuff tells our story. So, if you needed to cry over this, then you needed to cry over this. That is cathartic and that is healthy. Back to the healing properties of decluttering, that is part of the process that some of us need to go through. Many of us–most of us–myself included. Cathy: You know what, I envision walking into your house and it’s everything that I want in my house. But that’s a whole other different thing! So, now there are two types of clutter: clutter where people can’t let go, and clutter by families, households and environments where there is not enough time in the day to declutter and it builds up and it builds up and it builds up. Maeve: Right. So, one of the concepts that I use in my method simply is called, everything has a home. This is a phrase that has been used over time–I did not create it–but where I drew on it up came from my experience between high school and college when I taught as a student teacher in a Montessori based preschool. One of the things I learned was this profound experience of realizing the way that children interact with things that they love. One thing a child will do, if they have a favorite doll or a blanket that they really love, is they will personify it or bring it to life. Suddenly that dolly has to have a place to sit at the table to eat. God forbid it gets lost or dirty–there’s a crisis. So I teach adults clients–as well as kids–how to think about everything in your home environment as something that is worthy of a place to live, as if it were living, breathing and alive. As if you were interacting with it the way a child would, something that is precious in your life. The moment we do that, that’s one of the things that helps us to discern what is worthy of a home in our lives, and what we can let go. I’ll give you a simple example. Someone might pick up a remote control for their television. On any given day that’s not something that elicits a whole lot of emotional response. But, that piece, it actually plays a role. It’s the connector between you at the end of a long day and you being able to sit down and watch a movie at night and relax. So that remote control is worthy of a home, so we are going to give it a place to live,in a basket, under the coffee table, wherever it is. So, every object in the home, if we personify it and give it the role of a player in our family, it becomes worthy of a place to live. And that’s how we create order and systems in the home environment. And that’s why something doesn’t become clutter. Because when we are done with it we put it back into its home. And when we need it we go get it from its home. Does that makes sense? Cathy: It makes a lot of sense. But everyone has to be on board with where the home is for everything. Maeve: Exactly. Believe it or not, that conversation can be quite fun with families. There’s never an easy ticket–with children and families, there’s sometime playful conflict. Because people don’t want to be on the same page about things. But where this becomes really fun–and that’s why I do love to work with young children in particular. Kids as little as 2, 3 have come into sessions, and I do private work with them. They are so eager to learn, and they are so willing and excited to be helpful, so to teach a young child this idea of giving something that is precious to them, that is valuable to their day to day, whether it’s their backpack, or their favorite barrette, or a toy, giving it a place to live, they will really lean into that and essentially not sort of start to think about where it goes, because it just goes where it lives. So if you think about translating that to dishes in the kitchen, or other household items you can really instill in a younger child the skills they need to live better in the home environment. Cathy: We’ve talked about sort of the negative aspects of clutter and how it can negatively affect your health. How can decluttering positively affect us. This is probably really where your energy work comes in. Maeve: Yes, there are many wonderful positive benefits. On a basic level, energetically, we are always interacting with the things around us. So clutter, physically, back to the idea of allergies, clutter can create dust and heaviness in the home. But there is also this emotional relationship to things. Every object, from my perspective,every object that we have in our lives around us has an energetic vibration and is connecting with us. So when we are surrounded by things that have a vibration or an energy that we aren’t even connecting to, it sort of clouds things. It’s like having too many radio signals coming in at once. Being intentional–being intentional is about going through things one by one, that pile of clothes, that busy closet. That alone, mentally, will create clarity. But what I call the art of release and let go. When you are intentionally deciding, this DVD player that was gifted to me by a boyfriend when I was younger, that meant so much at the time, I haven’t used it in years, it’s really not working, I don’t think I can resell it, it’s time to let it go. That’s the art of mentally release, but also physically let go. You might put it in a recycling bin or give it to someone. It’s a two-part process of deciding to both release–which is the mental part–and let go, which is the physical part, where something actually leaves your home environment. That has profound mental health results. I have so many stories anecdotally over time of watching people, their faces might change, they might cry, they might just breathe a sigh of relief, just profound mental changes that come from this work. Cathy: Who gets to be the boss in the household? Because, every object has a different energy for each person. So where something is ringing me the wrong way, it might be adding something pleasant to somebody else’s life. So who gets that final decision? Maeve: Again, it’s about communication. I don’t know if that there are any final decisions when it comes to communication amongst families and with partners. It’s about compromise, like anything else in life. There are times when you just can’t stand a certain object that’s been sitting in the corner of a room and your husband loves it. That’s where communication comes into play. I’ve always found when I am working with couples, when people start to express how they truly feel about something and they get to that story and they share it with a partner, then that butting heads mentality disappears. Because at the end of the day you are getting closer to that human to human connection and love, and things have have absolutely nothing to do with objects. At the end of the day we would hope in our grand society that our connections are about love and not about physical objects. But that becomes more and more challenging since there is so much stuff that we have in our world. Believe it or not in our society, we don’t get enough experiences where people feed us back what we’ve said. There is a lot of fighting and conflict right away. So very simply, that art of mirroring and listening goes a long long way towards diffusing a lot of the tension that goes on in the home. Cathy: So we are getting towards the end of the show, Maeve, and I am hoping you can give us a couple of tips. Or one tip or so to get us started on this very deep dive journey. Maeve: It is a bit of a deep dive. So, we’ll go a little lighter! One of the things that I love to do at this time of the year is called Light Therapy. It’s spring cleaning time, so it’s a time to pay attention to your windows and all the surfaces of your home. As we are in this transition time from winter into spring, care-taking the home is important. Very simply, go around and wash not only all of the exterior and interior of your household windows, but picture frames and glass tables too, and any other shiny surfaces that may have gotten grimy over the course of the year. It’s about care-taking your home, but it’s also about paying attention to our mood. As you started today’s program, talking about bringing in sunshine and vitamin D for the body, that is a basic tip that anyone can do today, or this weekend, to make an impact in their life. Cathy: Perfect. Thank you again Maeve for being on this show. If you want to find out more about Maeve and what she does her website is maevesmethod.com. Please contact her she’s got some wonderful tips. Maeve, thank you for being on our show today we really appreciate it.